- and already running Debian from a USB drive on the Pogoplug V3. OpenWRT will be installed on the internal flash (NAND) of the Pogoplug. You will still be able to boot Debian from USB when attached. - RT3090 (PCIE) Wi-Fi in the Pro is not working. My console installation log can be found here. #We're using the snapshot trunk release. #Select the appropriate fdt - Pro (Wi-Fi) versus regular. #poweroff Pogoplug and then remove USB flash drive. At this point, we're ready to boot into OpenWRT. During the bootup process the LED on the Pogoplug will blink. However once it successfully boots into OpenWRT the LED will be completely off. Note that by default, OpenWRT will default to 192.168.1.1 and will (or should) act as a DHCP Server. Plug a network cable from your computer directly into the Pogoplug and power it on (do not plug the Pogoplug into your router). You should now be able to Telnet into the Pogoplug at 192.168.1.1 (username and password not required). If you're not able to telnet into the Pogoplug try setting a static IP address of 192.168.1.2 on your computer. Note that SSH is disabled and will automatically start after a root password is set. Plug the Pogoplug and your computer back into your network/router. Check your router for the IP Address assigned to your Pogoplug. You should now be able to SSH into the Pogoplug. Note that the built in Wi-Fi (PCIE) on the Pogoplug Pro is not working. If you need wireless, I would highly recommend a USB Wi-Fi card based on the RT5730 chipset for less than $8. All credit to @bodhi on Jeff Doozan's Forum for the uBoot, Debian rootfs, instructions and support. Note that I re-hosted some of @bodhi's files for an easier install. WARNING: You can potentially brick your Pogoplug following this tutorial. Your warranty will be voided. These instructions are for the Pogoplug V3/Oxnas. Flashing the uBoot below on any other model of the Pogoplug will result in a brick. There is no going back to the Pogoplug OS. You will not be able to use the my.pogoplug.com service. Proceed at your own risk. Model numbers located on bottom of foot. Please ignore the label on the box. You can potential receive a Pogoplug V2 (POGO-E02 Kirkwood) when buying a P21/P22. Note that the backdoor method is not persistent (SSH access will not be available after a reboot). From here, everything is done via the SSH console. #Stop here if not expected output. #BE EXTRA CAREFUL WITH THE THESE COMMANDS. #NO TYPOS! CUT AND PASTE. At this point, your Pogoplug should boot back up into Debian. 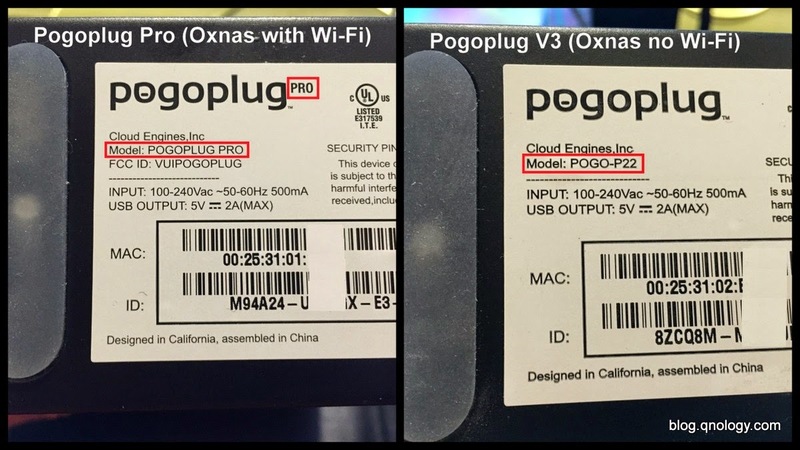 Note that the IP Address of your Pogoplug may have changed. Double check your router for the IP Address assigned to your Pogoplug or use a network scanning tool (iNet Network Scanner on iPhone) to determine the IP Address of the Pogoplug. For Debian, the default username and password is root/root.